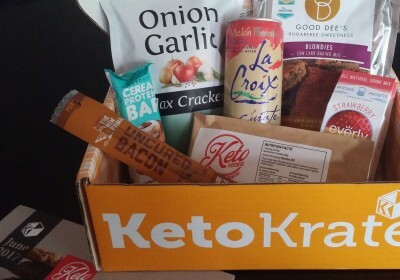 After enjoying the May 2017 Keto Krate, I was looking forward to my June Keto Krate arriving in the mail this month. This was only my second Krate, so I was interested to see if it would match the quality/value from the previous month’s shipment. As a reminder, Keto Krate costs $34.95 per month plus a $4.95 shipping fee ($39.90 total), and promises 6-8 keto-friendly snacks per month plus $20+ in coupons and discounts in case you want to purchase more of the featured products. 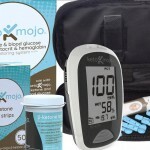 All products included are gluten free, aspartame/malitol free, and 5g net carbs or less per serving. If you’re a new subscriber, you can take advantage of the $5 discount offer when you sign up here. 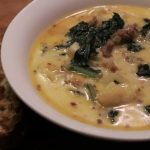 The first (and featured) product for the month was from Keto Kookie. 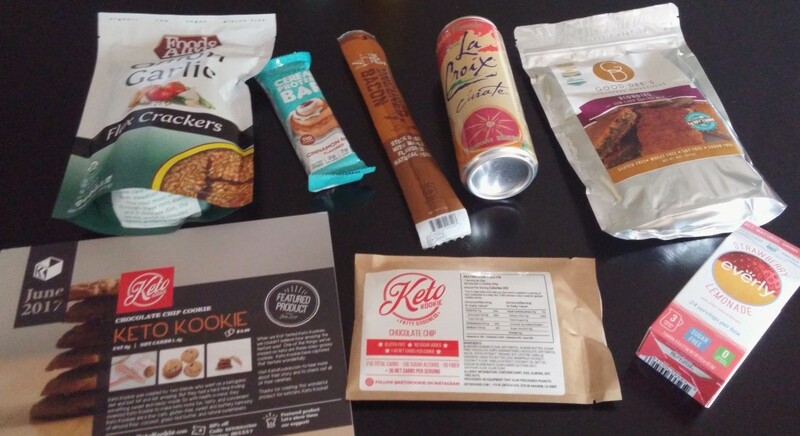 I actually tried Keto Kookies for the first time a couple of months ago, so I already knew that I was a fan. The soft, buttery texture is great and something that is often missing from keto versions of chocolate chip cookies. 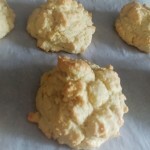 The cookies are sweetened with erythritol, monk fruit, and stevia, three natural and keto-friendly options which I am a fan of. They do have a very slight cooling effect caused by the erythritol, but since I regularly use erythritol in my own baking, I don’t really notice it. Keto Kookie also has two other varieties available: Cinnamon Snickerdoodle and Double Chocolate. Personally, the double chocolate are my favorite with chocolate chip as a close second. This is the second time in as many months that Quest Beyond Cereal bars have been included in the Keto Krate; last month featured the Waffle flavored version of this bar. 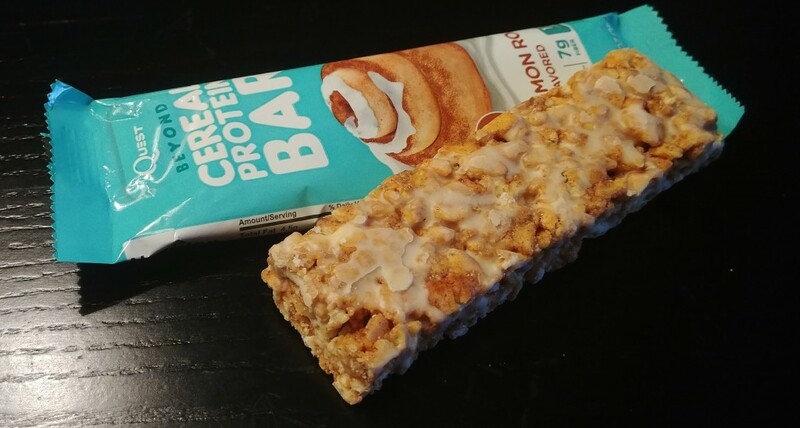 I do actually prefer the Cinnamon Bun flavor, so I can’t complain about receiving it, and Quest Nutrition is a staple convenience/snack brand for many ketoers so it’s not too surprising to see them included more than one in this box. Compared to traditional Quest Bars and other low carb protein bar brands, these are lighter, with around half the caloric content. The texture is crispy like you might expect from a cereal/granola bar rather than the soft and chewy texture of a traditional protein bar. 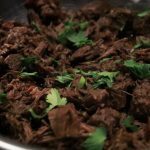 I find them to be a nice change of pace, and I often toast them and combine with other ingredients like nuts, dried coconut, and/or cacao nibs to make my own keto cereal or granola. I’m normally not a huge fan of flax crackers as a snack, because the taste and texture of flax can be a bit overpowering on their own. With that said, I was interested in trying these because I thought the addition of onion garlic flavor might go some way towards mitigating that problem. That suspicion turned out to be correct! 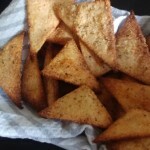 The savoury flavor of these make them taste better than any of the “plain” flax crackers that I’ve had in the past. 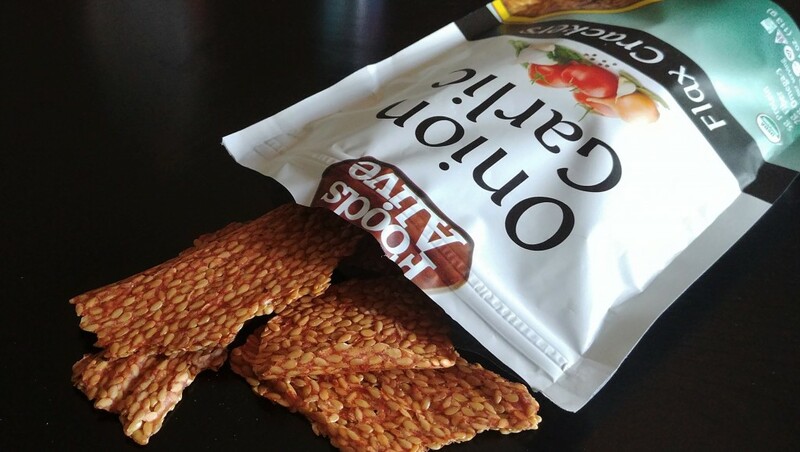 The texture of these Foods Alive flax crackers is also an improvement over other brands I’ve tried; they are thinner and crispier, which makes them better for dipping and less likely to get stuck in your teeth. I’ve never thought I’d be going out of my way to buy flax crackers again after trying them the first time, but I’m definitely interested in trying other flavors from this brand! 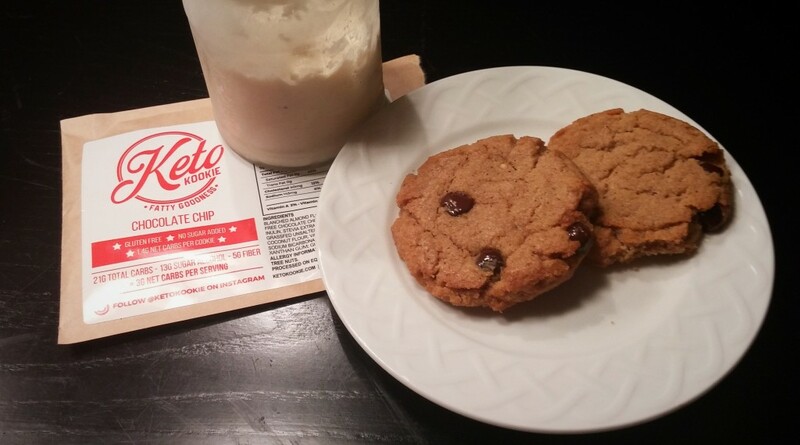 As someone who loves keto treats but doesn’t always feel like making them from scratch, this was maybe the product I was most looking forward to trying from the June Keto Krate. 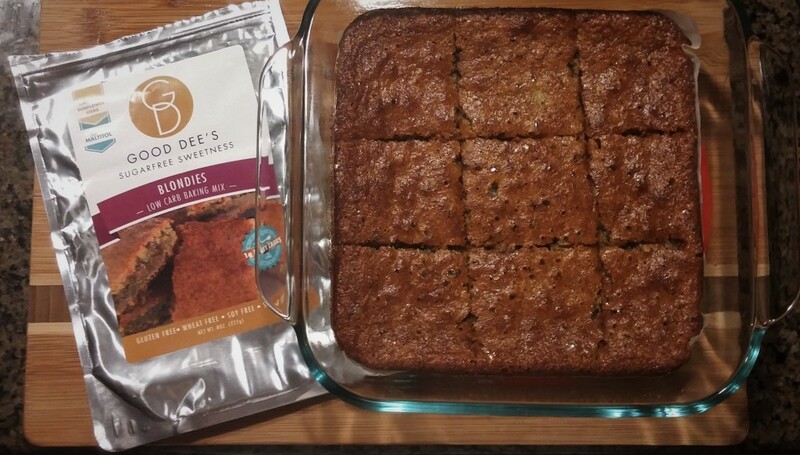 This is a low carb baking mix that just requires you to add eggs and butter (or coconut oil) to bake up your own batch of keto-friendly blondies. I was a big fan of the end result, especially when served up with a sprinkle of cinnamon and some freshly whipped heavy cream. I wouldn’t complain if the mix was just a little less sweet, but the flavors are balanced overall and the texture is super rich and satisfying. The higher price means that it probably won’t be an every day treat for me, but for high quality ingredients and nutrition that fits keto macros, it would definitely be worthy of the occasional splurge. 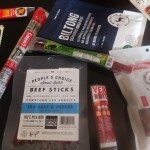 Jerky and meat sticks are a regular inclusion in keto subscription boxes, so I’m always happy to get something that’s a bit more interesting than the standard plain beef jerky. 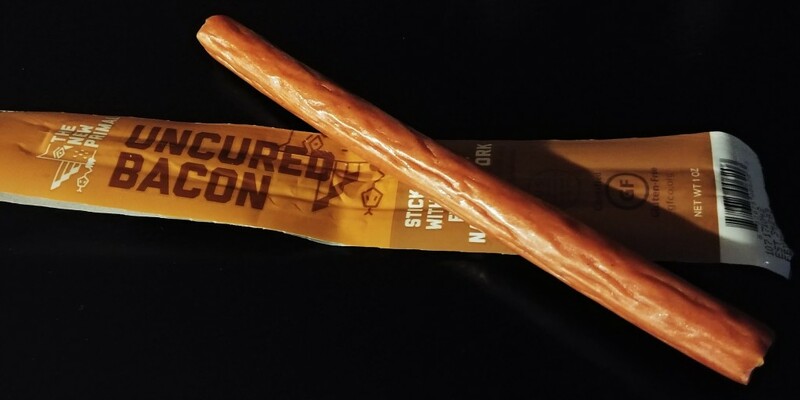 This snack stick was pretty tasty, and I liked that it had a nice maple flavor without being overly sweet. It also wasn’t too salty, like some jerky products can be. Judging by posts I’ve seen on social media, there may have been some variation in this item this month. Some subscribers received a barbecue flavored variety from this brand instead. Drinking water an important part of maintaing your health and hydration on keto or any other way of eating, but sometimes I like to mix things up a bit. I’m always on the lookout for low carb and sugarfree drink options, especially those that are naturally sweetened. This Everly drink mix definitely fit the bill! The strawberry lemonade flavor was super refreshing and perfect for summer, and it’s perfectly keto friendly since it’s sweetened with erythritol and stevia. On top of being a tasty, healthy hydration option, Everly also has a heartwarming charitable mission to provide hydration to people in need for every package sold. For a limited time, you can get $5 off at the Everly store when you use this link. Finally, subscribers received a second beverage option in the June Keto Krate, perfect for staying hydrated in the summer heat! Sparkling water is one of those things that I often overlooked pre-keto but have since come to enjoy. This LaCroix water is unsweetened, but the natural melon flavor really shines through and it has the perfect amount of carbonation for me. It’s especially nice when served ice cold. 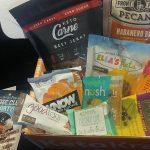 The box also included an illustrated, easy to follow recipe for a low carb Smoky Bacon and Cheddar Dip featuring the Foods Alive Onion Garlic Flax Crackers from the Krate. I think this was a good month for Keto Krate overall. The retail value of the box is lower than last month’s, so I feel like maybe the inclusion of one additional small item would have really rounded it out (such as including both the maple bacon and barbecue jerky options). With that said, the value of this month’s subscriber discounts is pretty significant considering that these products can’t often be found for 20% off. I’m especially eager to cash in that Good Dee's code! 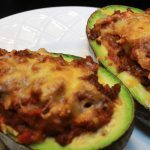 I liked the mix of sweet and savory this month, especially since keto snacks have a tendency to lean really heavily towards the latter a lot of the time. It’s nice to have some sweet options that are low carb and not loaded up with maltitol! It was also pretty cool to see some drink options included! 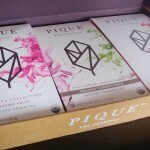 Outside of the occasional coffee or tea product, it’s somewhat rare to see beverages featured in keto boxes. It’s great to see those keto-friendly drink companies out there get some love too! 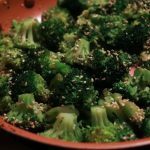 Do you find that you want a sweet snack because of the keto-sweet snacks? Or does it NOT cause the cravings because of there not being any white sugar in it??!?! That’s something that will vary from person to person! I’ve been keto for almost 3 years now, and in that time I haven’t had a problem with keto treats causing cravings for “real” treats. In fact, for me it’s the opposite; I’m never tempted to have cookies, brownies, ice cream, etc. because it’s not worth cheating for when I have perfectly delicious keto-friendly options available. 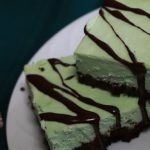 Other people, especially when just starting out with keto, will choose to avoid keto sweets entirely because they don’t want to risk being tempted by sugary sweets when the keto treats aren’t around.